Are you getting fat for no reason? It could be your thyroid. Hypothyroidism and weight loss go hand in hand. Your thyroid gland regulates metabolism. Metabolism is breaking down the food you eat to produce energy and the breakdown products are used to build new cells and tissues. Every cell is affected the thyroid hormone level in your body. When thyroid hormones are low you will suffer from hypothyroidism and weight loss will become difficult if not impossible. Stimulates the entry of glucose (sugar) into cells to be burned. Releases energy when needed by telling the liver to generate free glucose. If you have hypothyroidism and weight loss is your goal, you are missing the signal to burn carbohydrates and they will be stored as fat making it hard if not impossible to lose weight. Fat is meant to store fuel to be used in case of famine. With the plethora of food and junk food in our society, this doesn’t happen for more than a few hours. 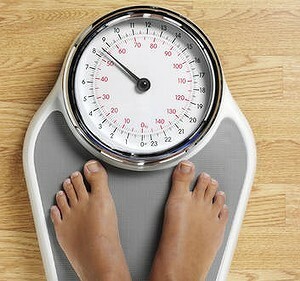 Therefore, excess calories will be stored as fat in your belly, liver, pancreas and throughout your body. This will affect the functioning of your liver and pancreas leading to fatty liver, insulin resistance, diabetes, metabolic syndrome, high cholesterol and weight gain. Stimulates fat mobilization from the stores in your belly and internal organs. Raises the basal metabolic rate and keeps you warm. If you are hypothyroid and weight loss is your goal, you most likely fail to lose weight. You will store fat in your sub cutaneous tissue to keep warm. Hypothyroidism and Weight Loss: What is an optimal thyroid level? Free T 4 is 0.7 to 2.0. Thyroid hormone plays a major role in weight loss as well as many other metabolic functions. Be sure to check your thyroid levels because if you have hypothyroidism and weight loss is your goal, you may be fighting a losing battle. A functional medicine doctor can treat the complexity of thyroid disorder and have you functioning optimally so you can lose weight and feel great. Read more about getting thyroid hormone right to lose weight and feel great and schedule a consult to get your levels checked.